Discussion in 'Fluff and Stories' started by Infinity Turtle, May 20, 2015.
there's a really depressing moment in everyone's life when they realise paint has no blend tool... but hey! Looking rather aesthetic! thedarkfourth, Aginor, Captaniser and 3 others like this. Captaniser, thedarkfourth, Scalenex and 3 others like this. But seriously, some very nice artwork here. I especially like the Nexu from Star Wars Episode II - some much-needed Prequels content! Infinity Turtle and Paradoxical Pacifism like this. I finally stopped procrastinating- I know, a miracle- and finished this guy. Trying a different style. Aginor, ravagekitteh, Lord Agragax of Lunaxoatl and 4 others like this. It has a mouth, so... not your cutest. Also, count the digits, you heretic! Because what else are you supposed to do when you’re listening to a lecture in school? Haven’t done a pencil sketch of a Skink in a loooooong time... if ever... thouroughky enjoyed shading and sculpting. I seem to have naturally reverted to my same style (though I’m not complaining), and though I could probably fix a few technical errors, I’m quite happy with the result. Warden, thedarkfourth, Aginor and 3 others like this. That's a very human looking eye. That's a Skink that I would try to talk to, rather than run away from. Also, the eyes are a bit larger proportionally than real world lizards. That is scientifically proven to be "cute." Our eyes never grow. Therefore babies seem to have large eyes. Since humans are genetically hardwired to find babies cute, we find large eyed creatures cute. A google search for "lizard eyes" shows a huge variety. Pupils that are vertical slits could make Skinks look a lot more menacing. 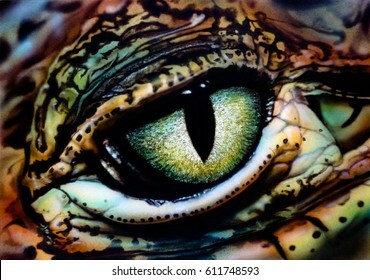 If you say want to be neutral and not have the eyes look friendly or menacing I would go for something like this. Aginor, Infinity Turtle and Paradoxical Pacifism like this. So, Scalenex, would you run away from the luzards on infinity's first 5 pages? they don't have round pupils. I'm hoping to digitalise the skink (as I did a while back to the turquoise and orange one) and will muck around with textures, colours, eyes, etc. spawning of Bob, Warden, thedarkfourth and 3 others like this. Well the lizards on the first page are adorable but they destroy everything around them. They feel about it, but that's little consolation to the poor mouse and poor flowers! spawning of Bob, Warden, Paradoxical Pacifism and 3 others like this. Aginor, spawning of Bob, Scalenex and 5 others like this. Kind of reminds of a dog making the "let's play" signal. What time is it? Time for Infinity Turtle to be off task and doodling! Probably coulda/shoulda spent a bit more time cleaning it up, but doodling is doodling. Hopefully have a bit more time for sketching now, because who really listens to their teachers at school? Aginor, thedarkfourth, NIGHTBRINGER and 2 others like this. Aginor, thedarkfourth, NIGHTBRINGER and 1 other person like this.